This week, Bursts speaks with Tom Nomad. 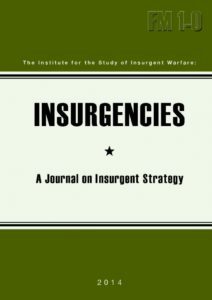 Tom is a midwest-based anarchist who authored The Master’s Tools: Warfare and Insurgent Possibility and a member of the Institute for the Study of Insurgent Warfare, which recently published the first issue of Insurgencies: A Journal on Insurgent Strategy. Tom talks about anarchist approaches towards ethics and strategic choices, the Insurrectionalist turn in North America and the growing focus among many of a study of Insurgency and Counter-Insurgency for the purpose of reframing our struggle against State, Capital and other enemies. There’s also brief discussions on Deep Green Resistance, ISIS, YPD, Policing, Summit hopping and more!